I have a lot of things to show you since January has been very productive! 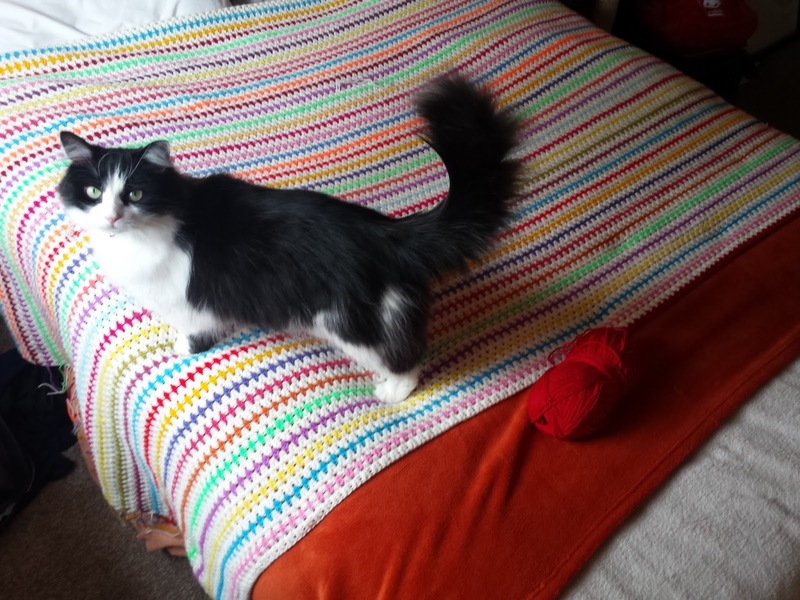 I was beginning to work on a small daisy blanket and I showed you a photograph of a yarn stash which I planned to turn into lots of cat blankets for the local Cat's Protection shelter. Here are eight blankets that I made, that are now living at the shelter and I have even see a photo of a cat snuggled up in one of them! I am quite pleased knowing that I have helped others. My small daisy blanket is all finished! 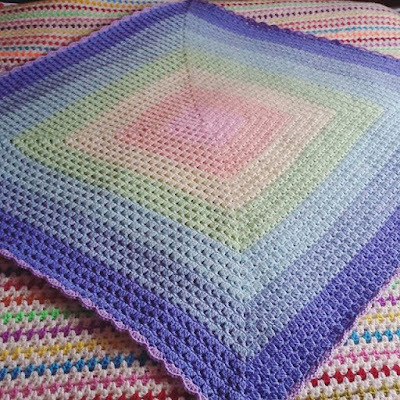 I am going to use this as a pram blanket when the baby arrives. I used the Flower Square pattern by Color 'n Cream as I thought it was lovely and for the edging I used Attic24's Spot On Edging pattern. A foxy hooded cowl that I am making for my friend, using the Flint Fox Cowl pattern by Heidi May. I altered the cowl on mine a bit so that you can open it at the front as that is what my friend wanted. 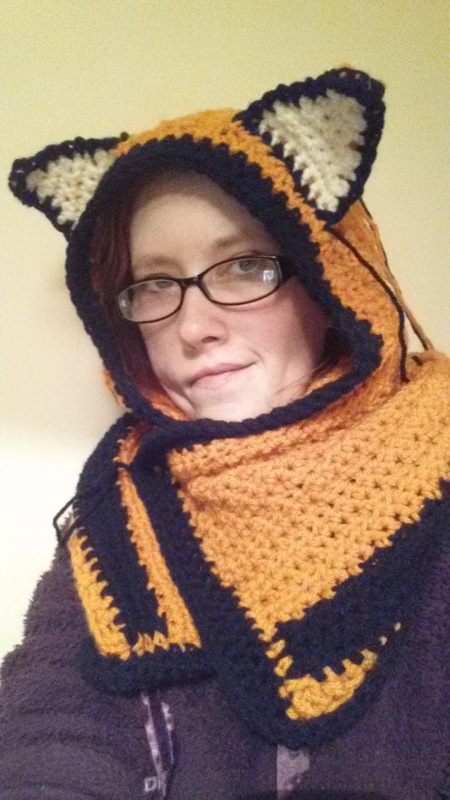 This project is pretty much finished, it is just waiting for a big button to be attached and then this will make one person very happy since she loves foxes. 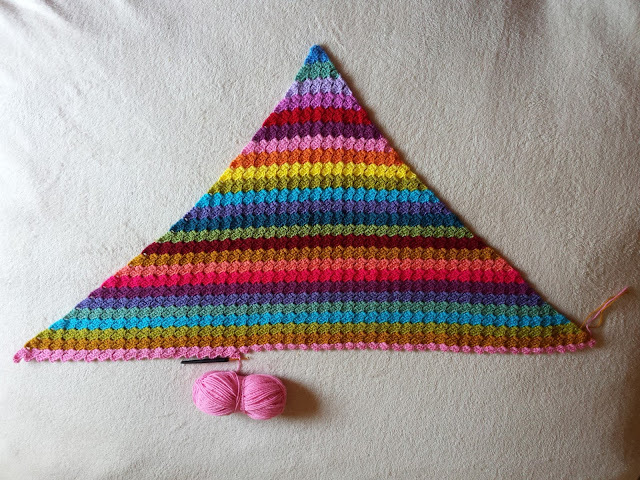 My second WIP is an Attic24 coloured themed corner to corner blanket as the colours I am using are from Attic24's Sunny Granny Stripe, as I really loved the colour combination but I didn't feel like making a granny stripe blanket. 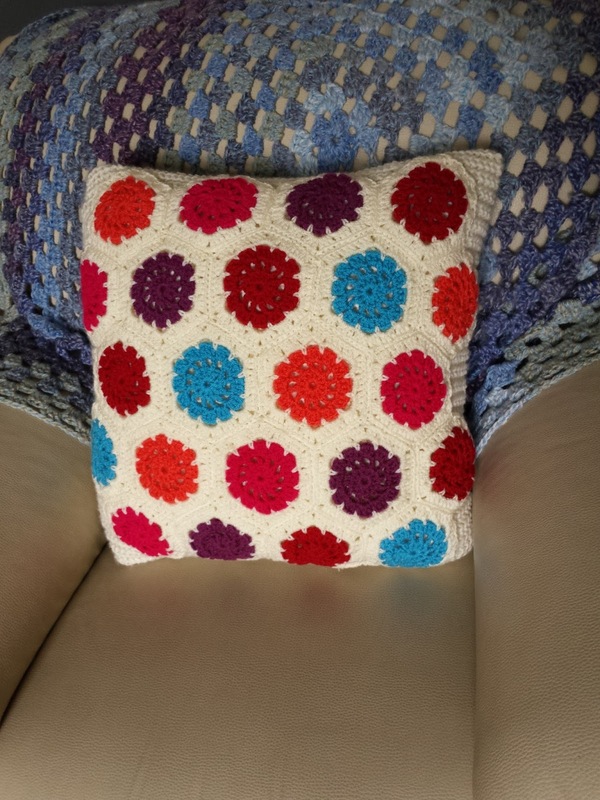 For the pattern I am using Red Hearts Corner-to-Corner Throw pattern, I have always liked this pattern and it has been on my to try list for years, and now has come the time where it is now on my hook and I absolutely love it! 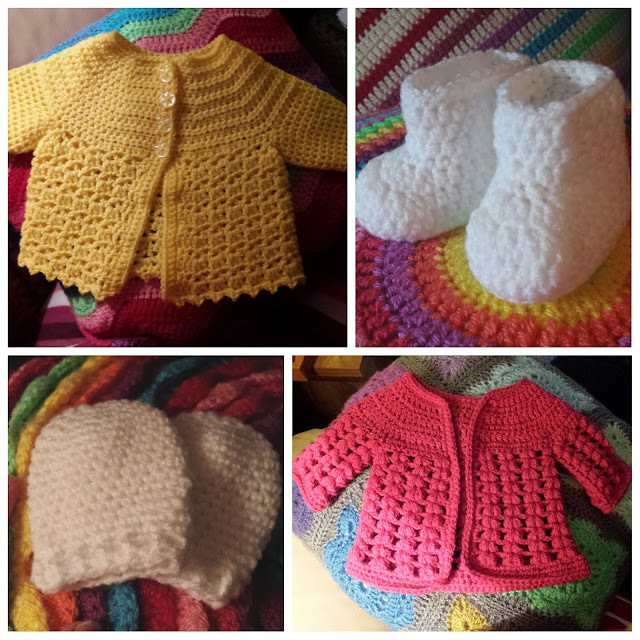 Aside from crochet I have recently been counting weeks until I finish work for maternity leave and counting down the weeks until the baby will be expected to arrive. Currently I have three weeks of work left, and just over seven weeks until the baby will be here. I still can't quite believe I have a little person wriggling about inside my stomach. With the increasing number of hospital and midwife appointments to attend to as the weeks go by, the seriousness of it is certainly starting to sink in! It has flown by so quickly, and I am really thankful that I have been able to carry this baby so far with good health. Although I am not sure how I will be feeling in my next blog post to you, possibly feeling like a big whale he he. I think that is all I have to share for the moment! Hello and Happy New Year to everyone! I hope 2016 brings us all a good year! After my last post I decided that I may no longer be the avid blogger that I used to be in the past, but I figured that I could make a blog resolution...in that I blog at least once a month. Sounds feasible and realistic doesn't it? So here I am scribbling post number one of 2016, where this year is fresh and unwritten...full of potential! Ahem! 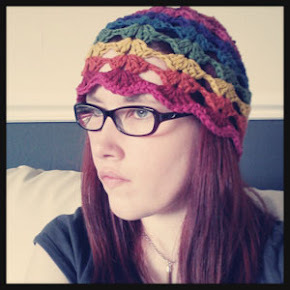 I will stop babbling now and start talking about my favourite thing....crochet! I will start off with my first finished project of the year. A pastel rainbow blanket for our baby! I started this in October last year and it has been put on the back burner a few times with Christmas projects taking over and other distractions but now it is finished and very cosy looking! 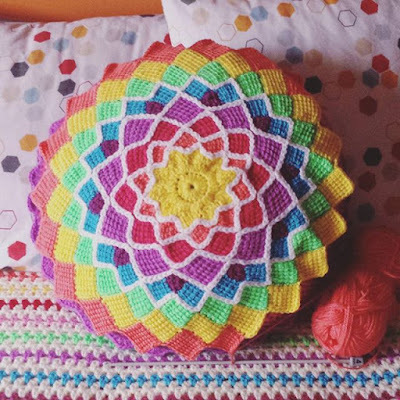 I recently had a dig through my yarn stash and found a hibernating project that I started waaaaaay back in 2013 (Not sure if any of you will remember this! ).....I thought this would be the year to shake off the cobwebs and complete it. I am going to turn it into a cushion, and I am thinking of sewing a stretchy kind of fabric backing onto it. 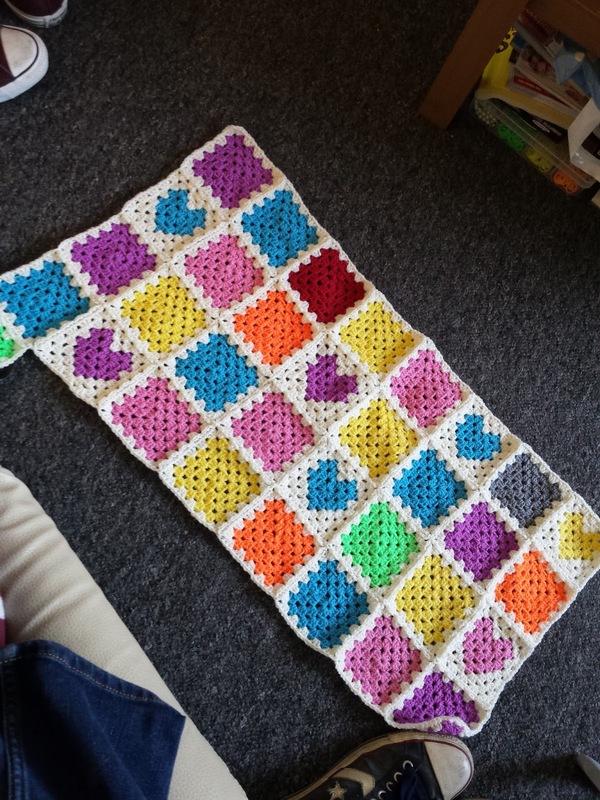 I started a new blanket a week ago, it will be a small blanket as I am making it for the baby's pram. I am thinking 5 x 5 square blanket. Still deciding on the colours I want to use, and how random I want the colours to be. 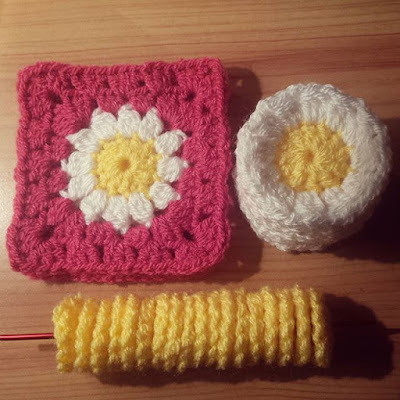 I have made all the centres, and I am currently working on the daisy petals. I know our baby is going to be one cosy baby!! As she will have three crochet blankets just from her mama alone! Now.... You must be wondering why I am showing you a random photograph of yarn stash which has lots of non-Hazel colours in it. 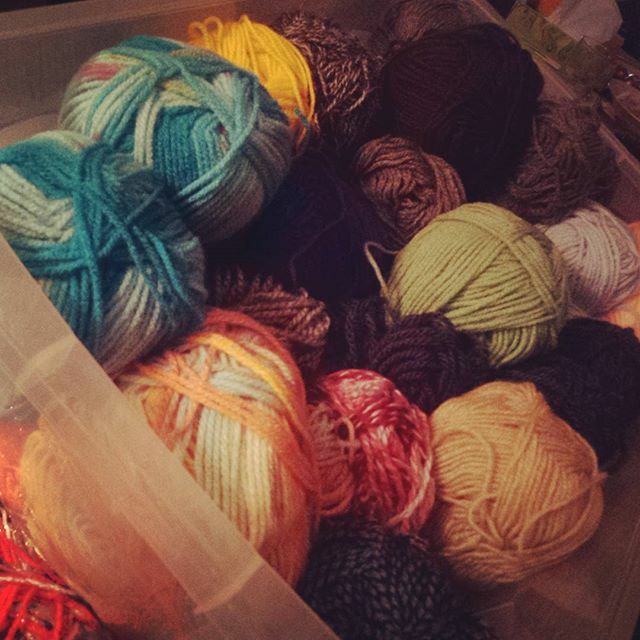 I have had this yarn for years, it is cheap stuff that I bought before I considered myself experienced enough to use Stylecraft Special DK, and it has since lain dormant in this storage box. 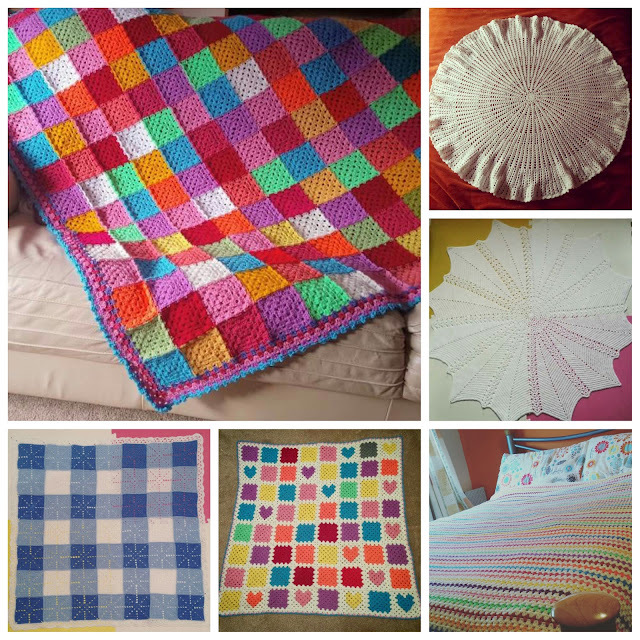 Thanks to some inspiration on Instagram, I am joining in with some stash busting and have decided to turn all of this yarn into cosy little blankets for the cats at the local Cats Protection shelter, which the lady I was in contact with seems to be really happy with! I am hoping to have it all gone by the end of January! Optimistic I am. I suppose you will find out next month if I succeed he he. I think that is all I have to share with you for the moment! P.S. For future posts I will try an include photographs that I haven't posted on Instagram, since I know some of you follow me on there and will have seen the photographs already. Hey lovelies I hope you are all keeping well! As you can see I am no longer the avid blogger that I once used to be, but I thought now would be a good time to look back and tell you what has been going on in my life in 2015. Last time I posted to you I was getting excited about my wedding, and here I am six months happily married! Time goes in so quick!! Our wedding day was one of the best days of my life and one I will always cherish! We got pregnant! 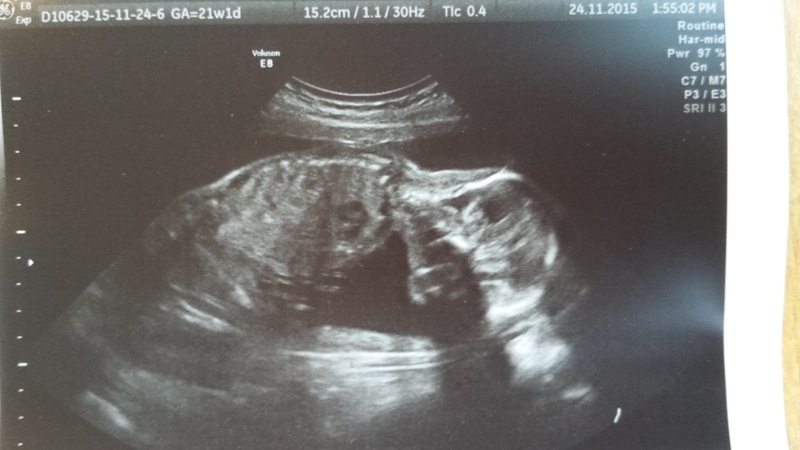 We are hopefully expecting a healthy baby girl in April 2016! 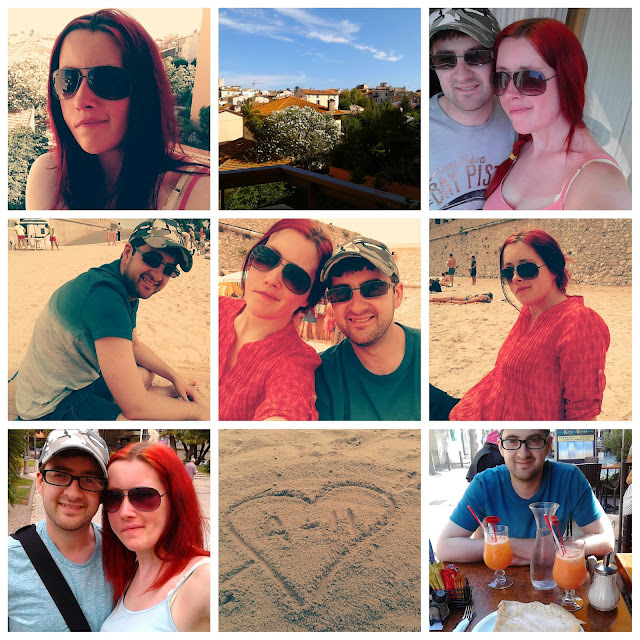 So we spent our honeymoon knowing that we were going to be parents, it was a wonderful relaxing holiday and my very first time abroad. These are all the exciting things that have happened since I last blogged, what a year huh? 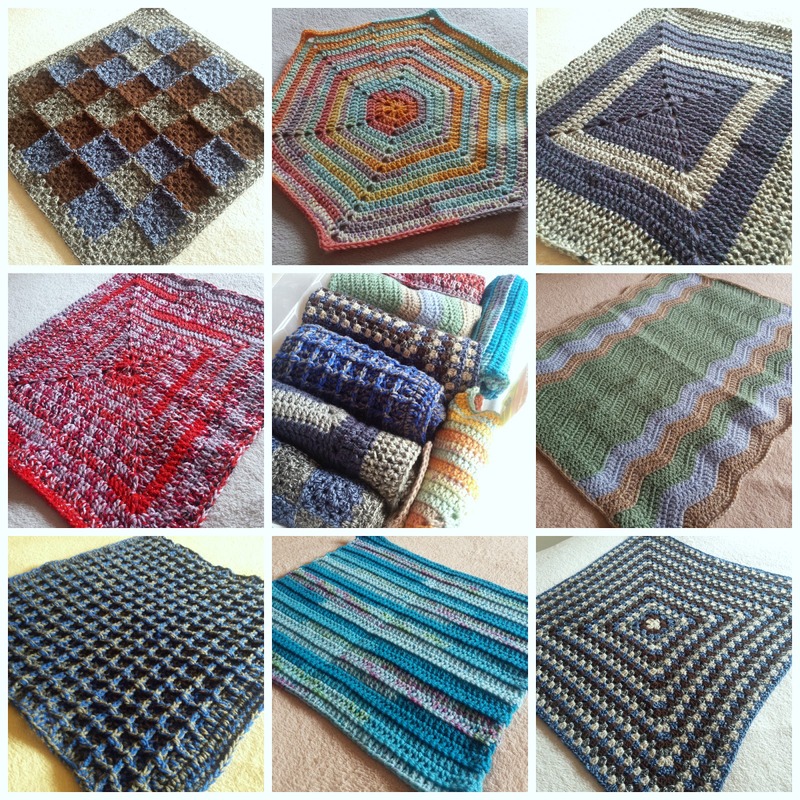 Now it wouldn't be a proper review of my 2015 if I didnt show you all of my finished projects, and there are so many! 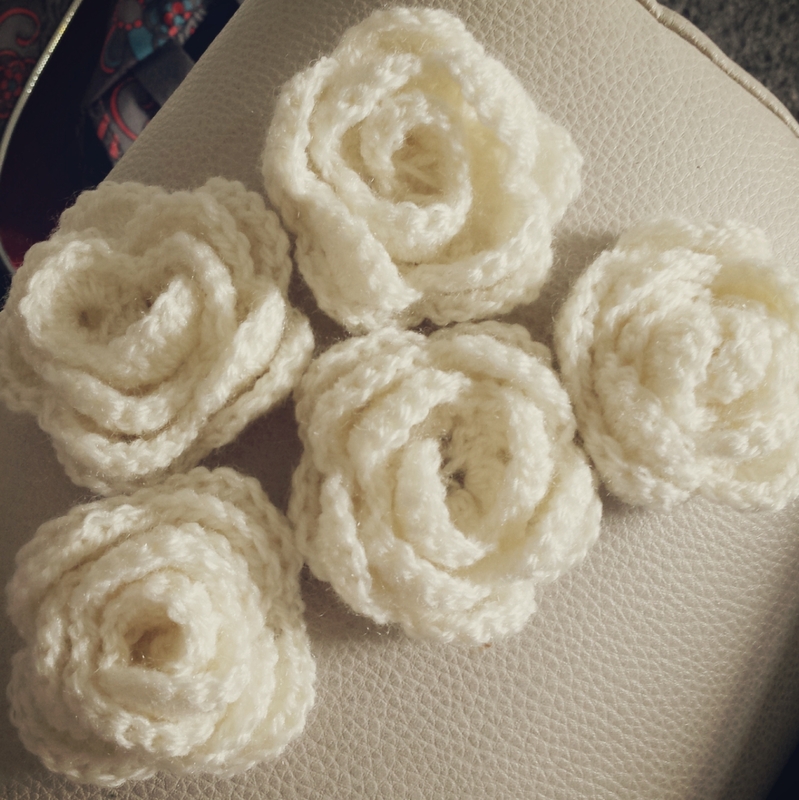 I love crochet so much! Here they are for the whole year! I would say 2015 has been a very fulfilling year! I hope yours was the same. Hello lovelies, I hope you are all doing well! I have been doing pretty great, although before I ramble on I would like to share my current WIPs with you. 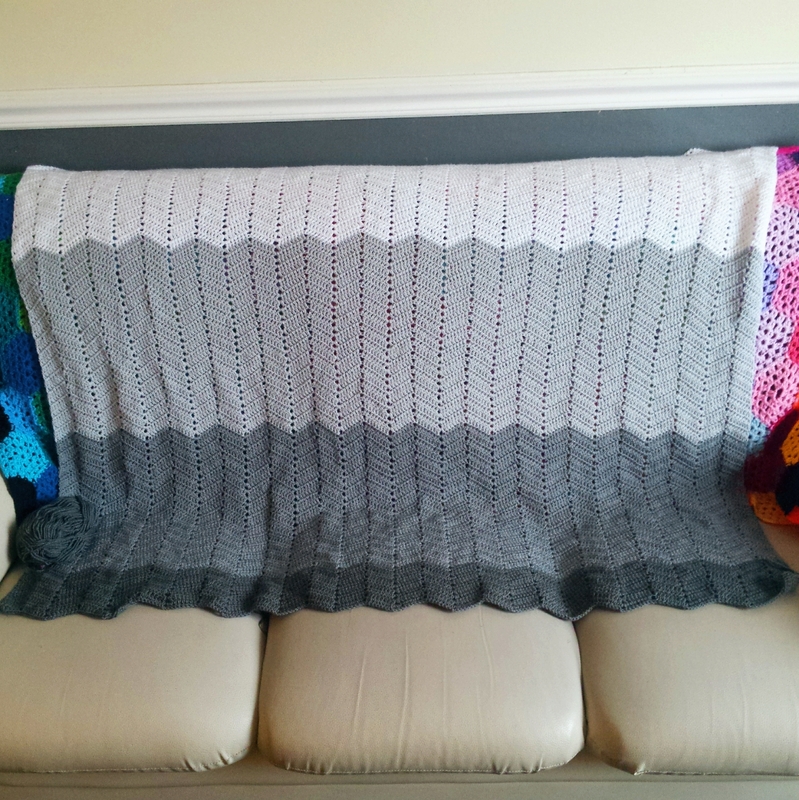 First up is my Diamond Striped Blanket which has been on my hook since December 2013, its been a steady project to pick up whenever I didn't have another project on my hook. Yesterday I decided to lay it on my bed to see how big it was and I was surprised to see it hasn't got far to go until I finish it. I also planned to crochet more of it yesterday but as you can see I took this photo before Jess decided she was going to have a cat nap on it. 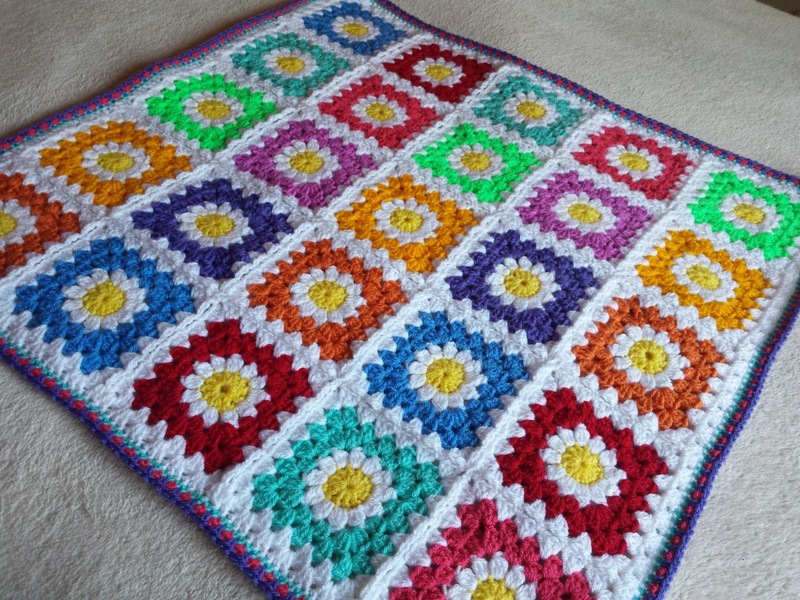 The second project on my hook is a fairly new one using the Willow Square from 200 Crochet Blocks for Blankets, Throws and Afghans by Jan Eaton. 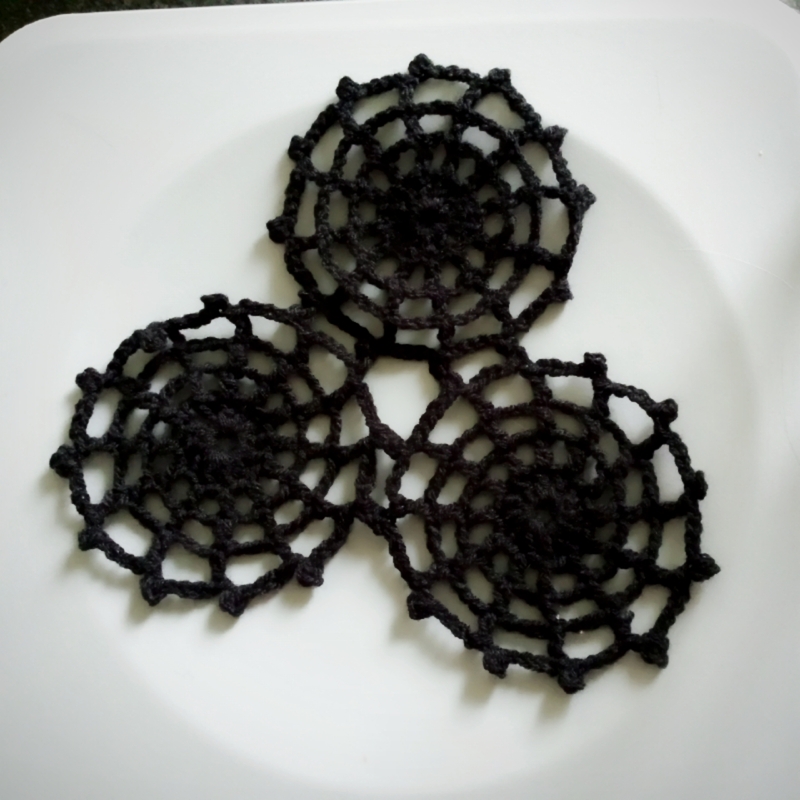 I have only done the first 5 rounds of the pattern in one colour rather than changing colours, then I have used the Solid Willow Crochet Block pattern found at Annie's Place to give it the solid border. I tried the block with a cream border but it didn't make the colour pop as much as the grey yarn does. It is going to be a blanket, but I am not sure how big it will be....time will tell. Aside from crochet I haven't really been updating you with much else in my life, there definitely have been a lot of changes which has possibly contributed to my lack of blogging. I am going to go back to last year.....yes I really have been poor with my blog updates! However I can keep it brief! 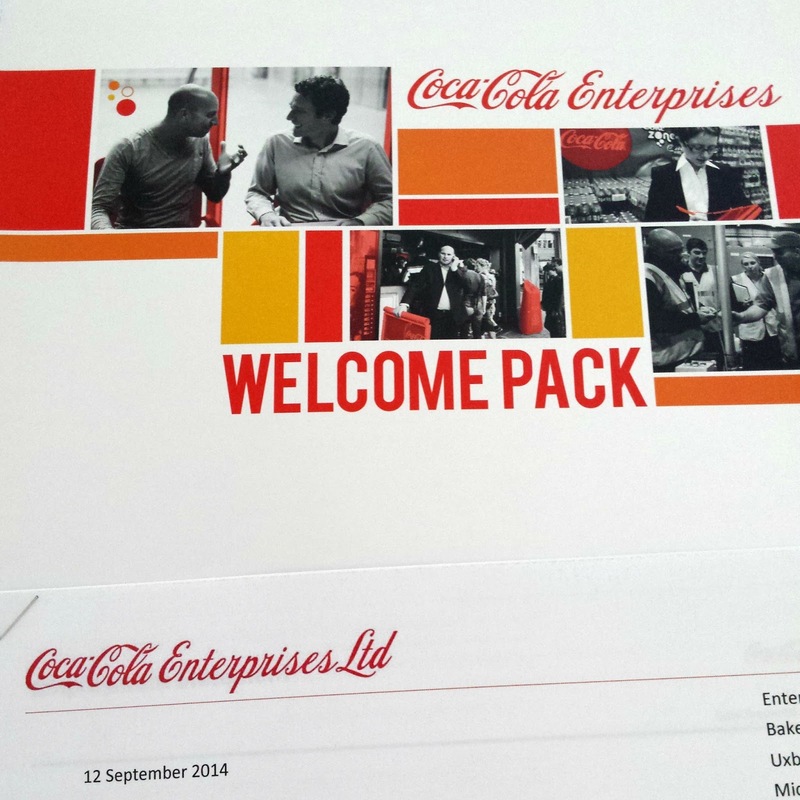 August last year I applied for a job with Coca-Cola Enterprises, with the attitude of....'yeah right like I would get a job with them'. Well turns out I got an interview with them which happened during a nightshift week at my previous job (zombie Hazel indeed). A month later I got a phone call with a job offer, I was absolutely ecstatic that day. I have been there 8 months as a QA Microbiologist! After I started my new job, Andy and I found out about a house that a friend of the family was wanting to let out. 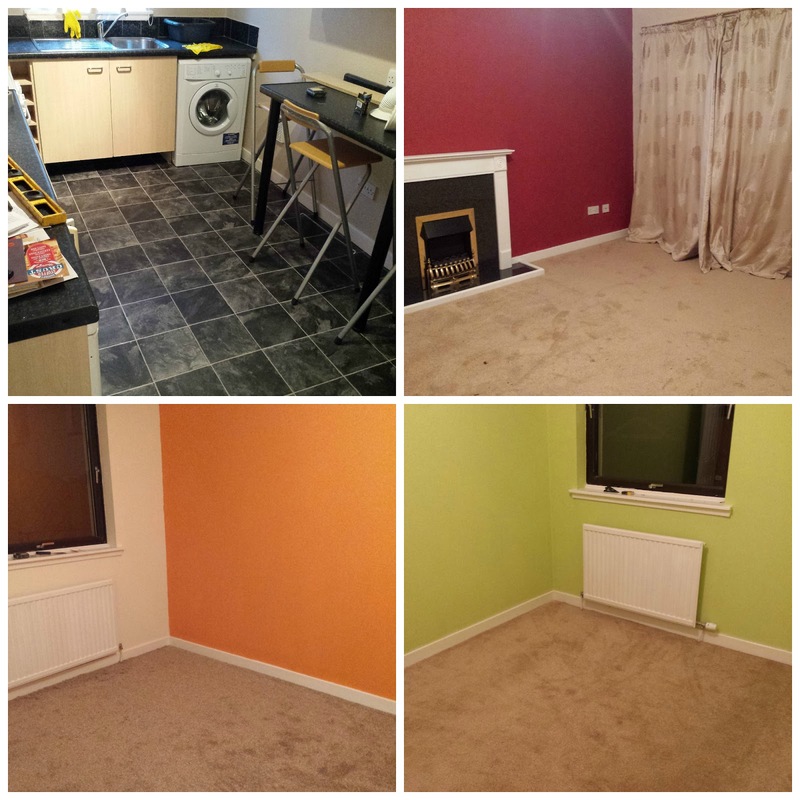 It needed redecorated which we got to do as our Landlord lives in England, so they gave us the first month rent free at the cost of us buying paint, etc for the house and of course decorating it for them (I will never forget all those layers of wallpaper we had to strip!). Though you can tell I got to pick the colours he he. My last update is the most exciting one, and some of you already know this I have mentioned it almost a year ago. I have been looking forward to June 2015 for ages, because in 3 weeks time on 26th June, Andy and I will be getting married. I am both excited and nervous, and it is really starting to sink in now, but we are almost all organised! Squeeee. I think that's enough updates for today! With this post I am linking in with Weekend WIP Along over at A Little House in the Corner, so if you have a WIP you can share with her this weekend....you should pop over! Hello to anyone that is still around, it's been a little while (total understatement). Those of you that follow me on Instagram will know that as my life has been going on outside of my blog....I have still been crocheting! I finally finished this before my friend's Halloween wedding, and she was such a beautiful bride. 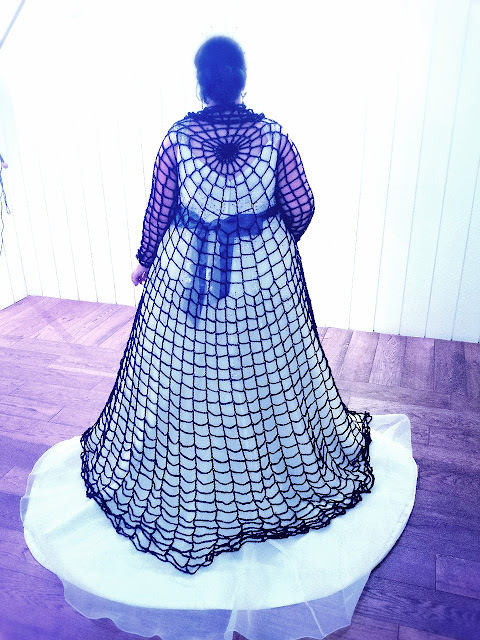 I was so proud of this project and received many compliments on the evening when she wore it. 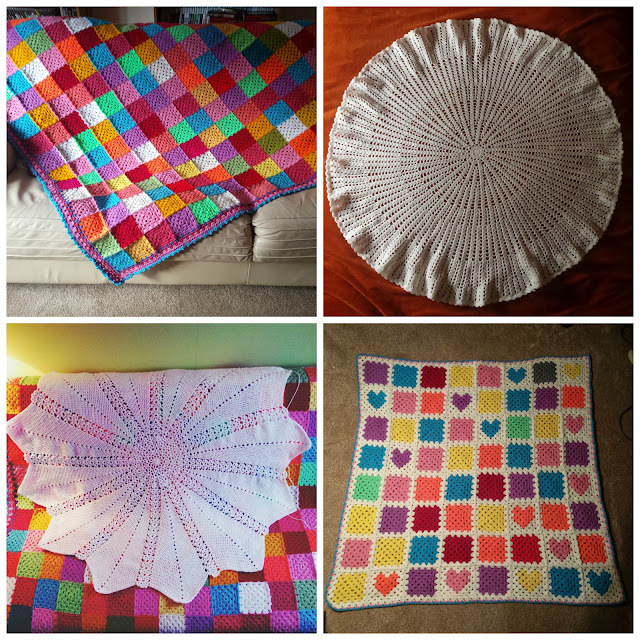 I have been mostly in the blanket zone as you can see.....I have made two baby shawls, finished my 2014 mood blanket, and finished my big colourful granny square blanket. I still have some WIPs in my basket which I can leave for another blog, as I would like to start blogging occasionally now that my life seems to have calmed down a bit. I am really liking the progress of the spiderweb shawl that I am crocheting, especially after searching for months a shawl pattern/idea that I liked! Once I complete this shawl, I am going to make another but in purple as they are for my friend's bridesmaids. I have been dabbling in lots of things over the summer, so I decided to make a blog post of quick photographs that I took. 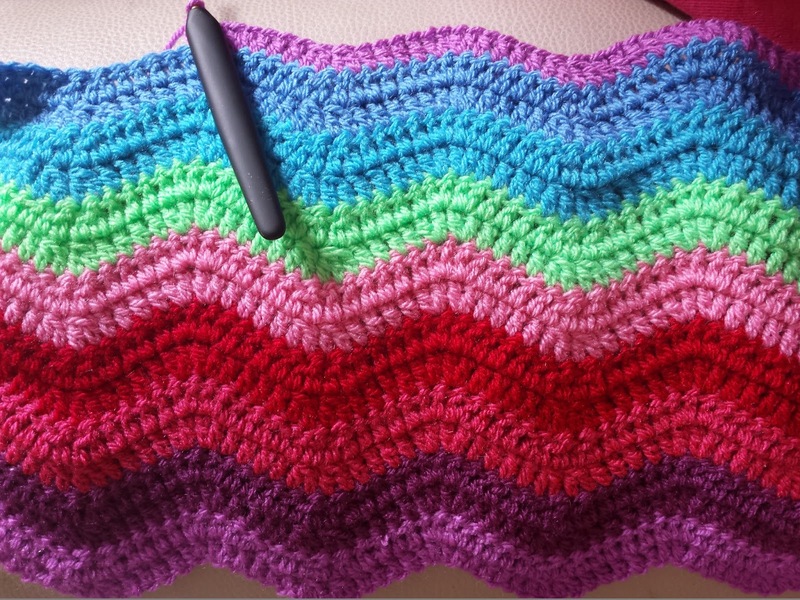 Making these lovely ripples for a cushion cover! 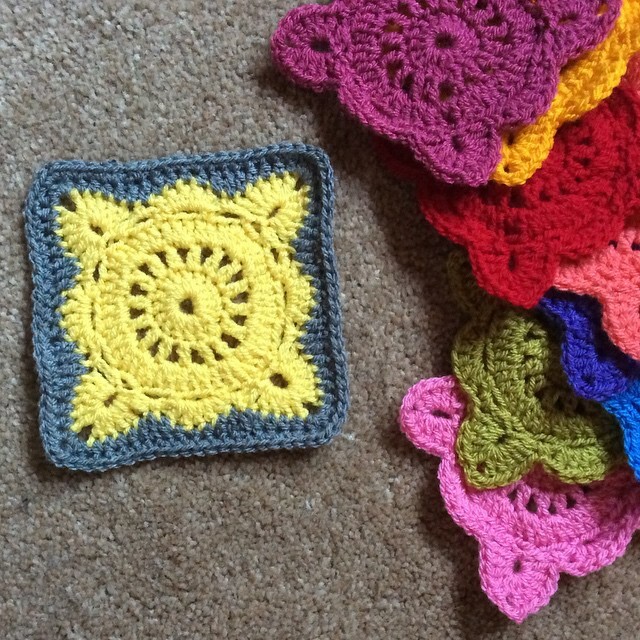 Making more squares for my mood blanket! 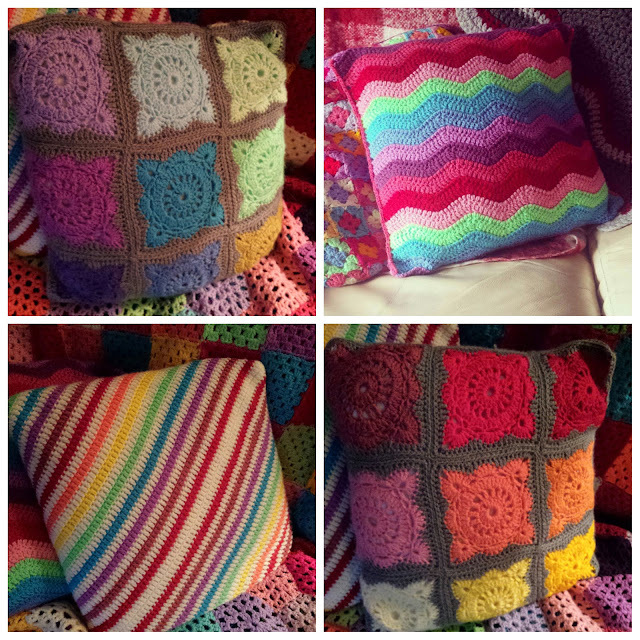 I made this lovely cushion for my sister's birthday! 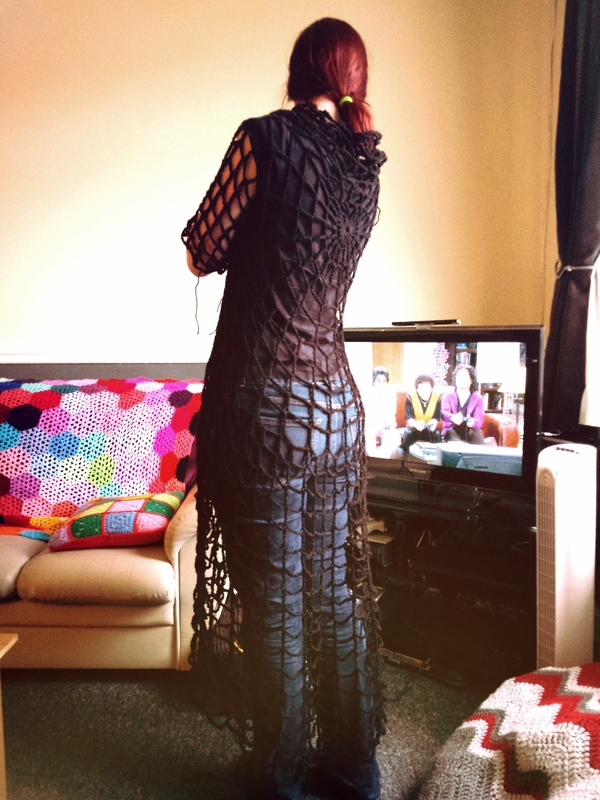 Trying on a spiderweb cardigan, making for my friend for her Halloween wedding! 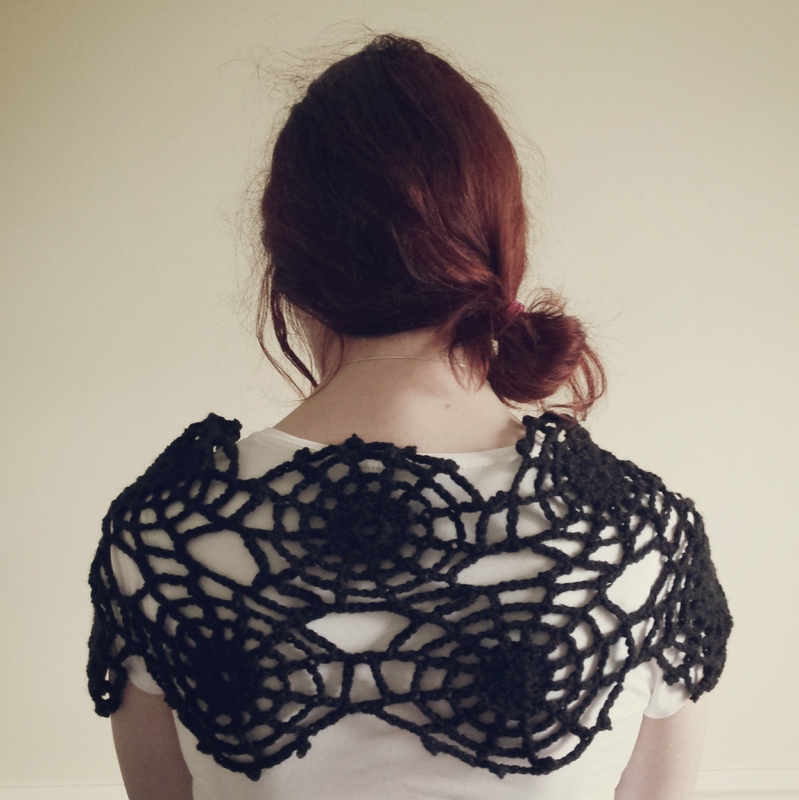 Making more spiderwebs, this is for a spiderweb shawl - it is so much fun! I have more exciting news that I haven't shared with you yet, and it is partly why I have been distracted...Andy and I are getting married next year! Last month we decided to officially set a date! 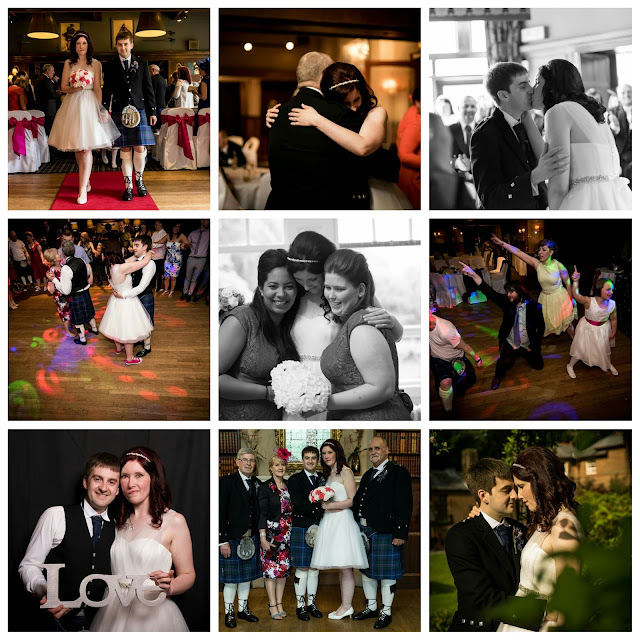 It is going to be a summer wedding in Ayrshire, as that is where I was born and I have a very big family! It has been so much fun setting things up, and I haven't turned into bridezilla like many people keep asking. I just want a simple, happy and lovely day with my best friend that I love to bits without all the fuss and extravagant spending! Hope you have been a great summer!